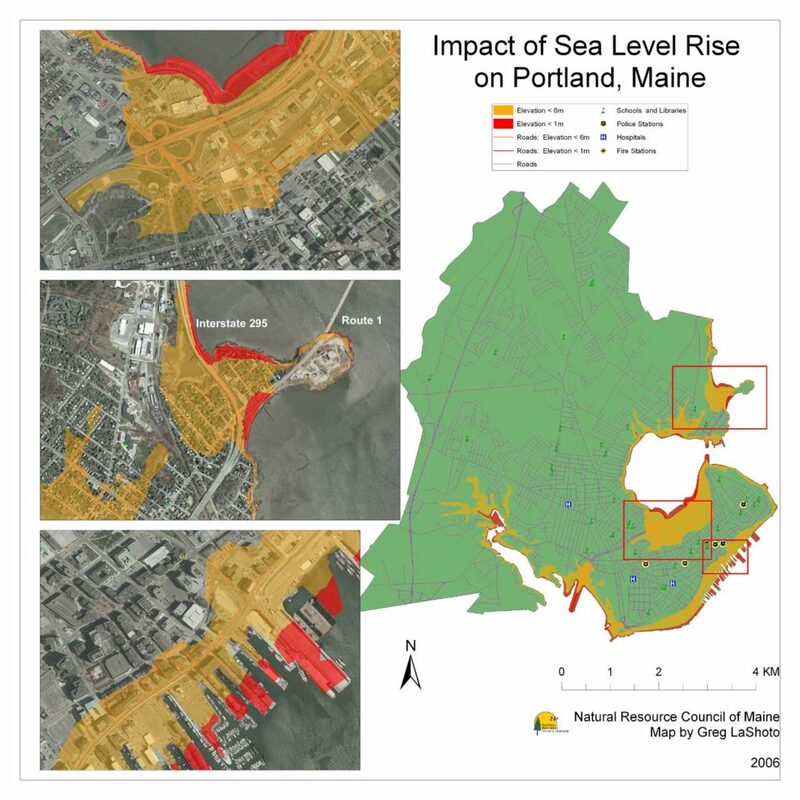 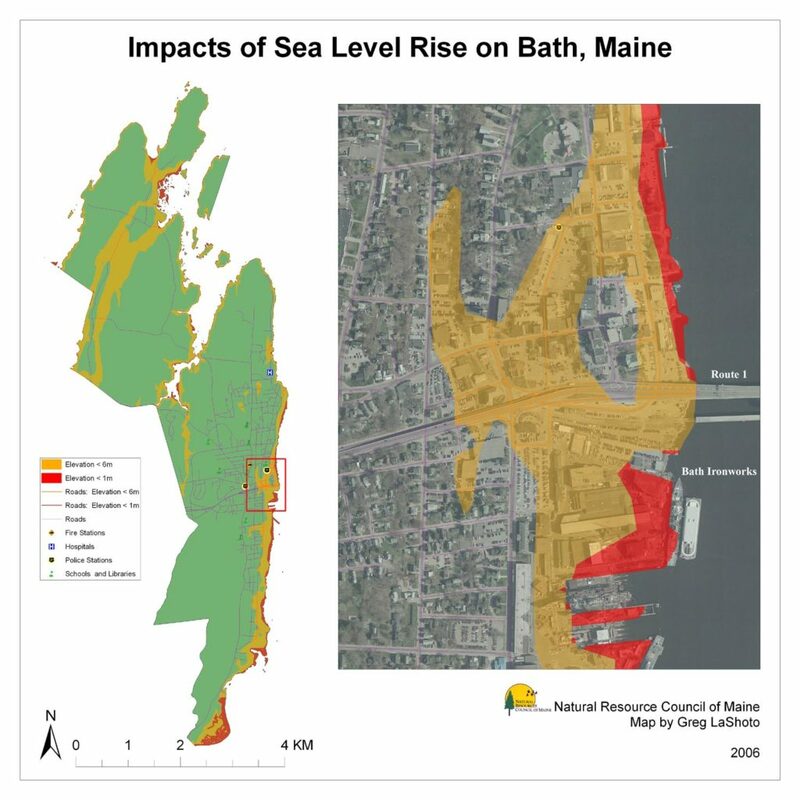 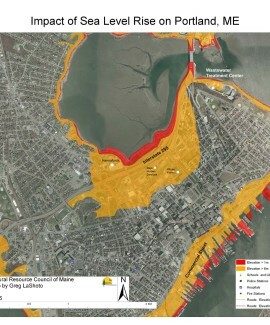 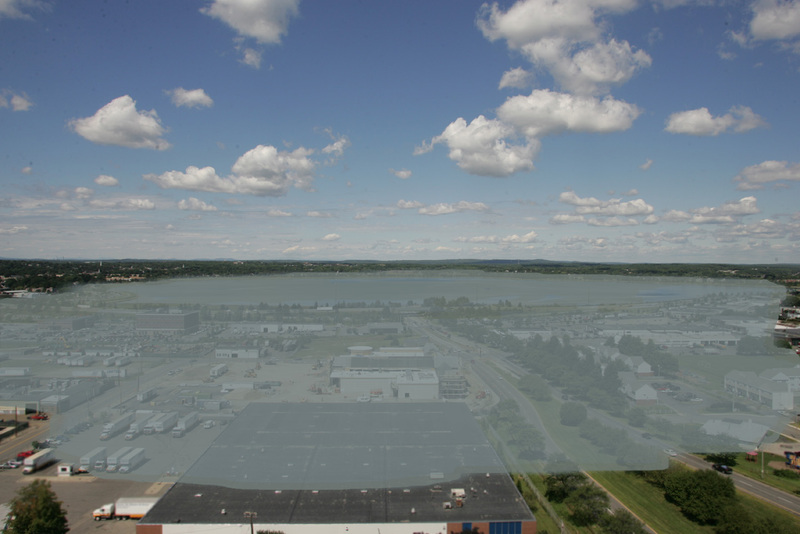 Sea-level rise poses a serious threat to Maine. 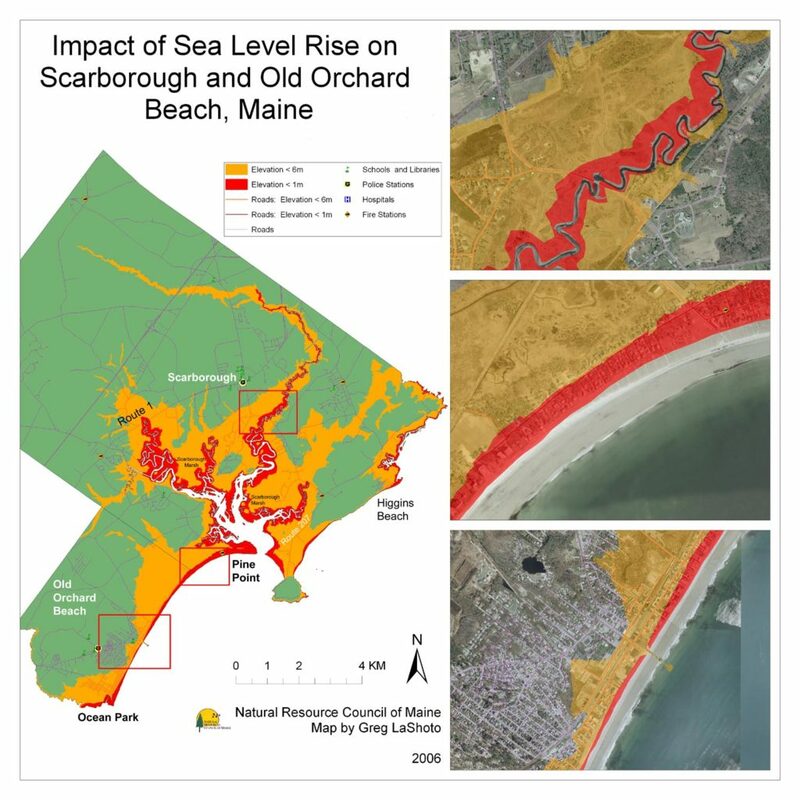 It puts at risk coastal habitat for a variety of wildlife, including the Piping Plover and Least Tern, both of which nest on beaches and are of high conservation concern. 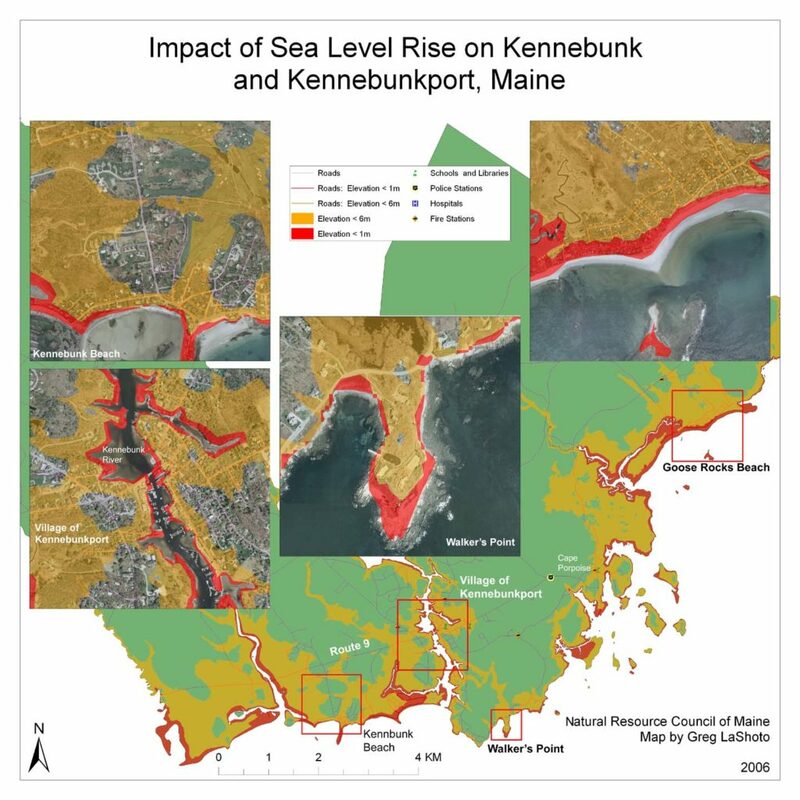 Our state’s iconic seaside communities (seen in the maps below) are home to a large segment of our population and are responsible for generation millions of dollars in revenue each year. 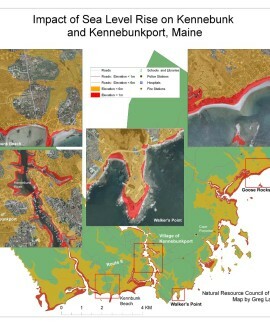 Damage to scenic beauty and the livelihood of fishermen and other natural resource-based economies could be devastating. 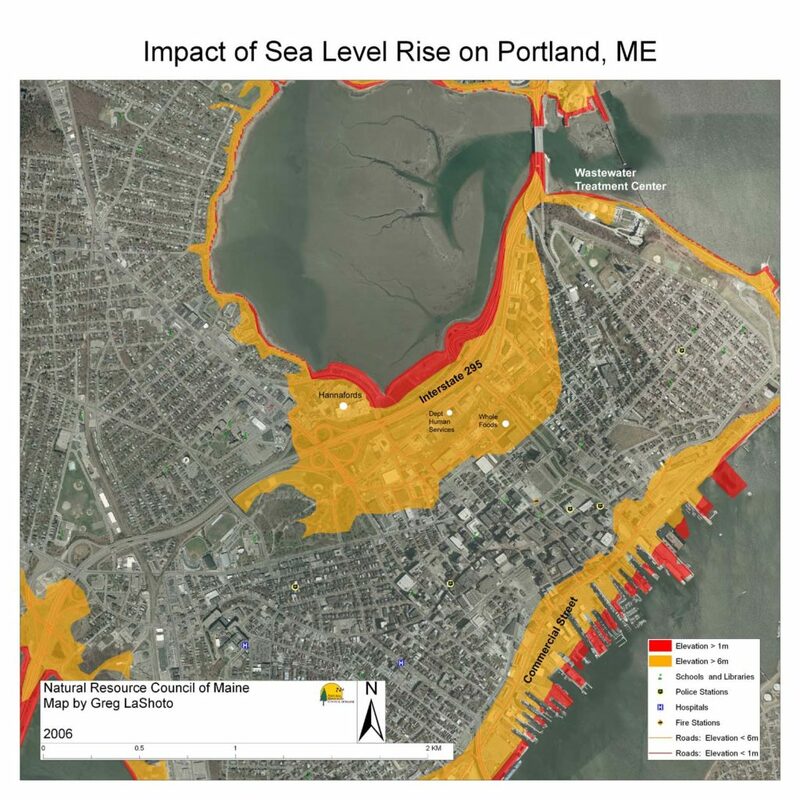 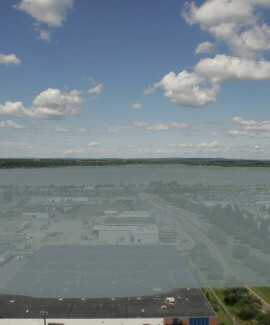 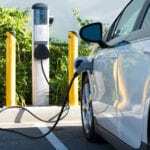 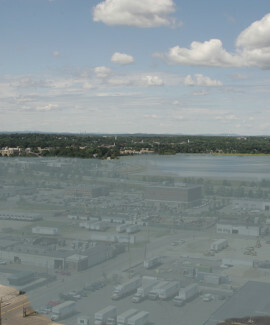 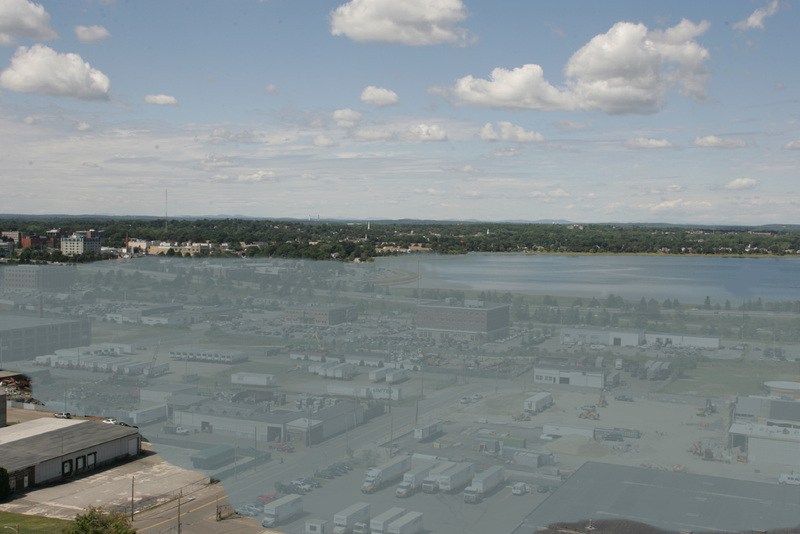 Infrastructure damage in places such as Portland and Bath could be extremely costly. 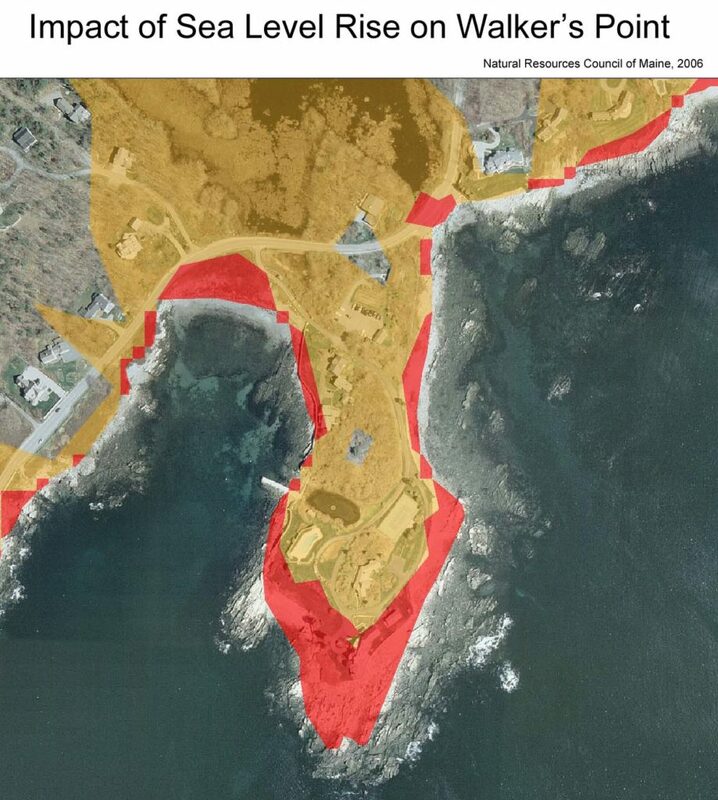 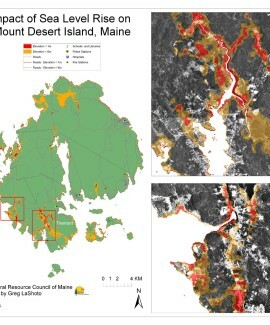 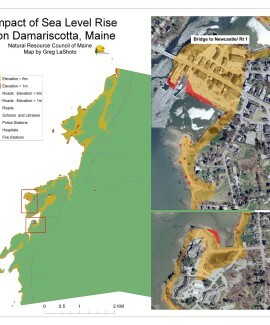 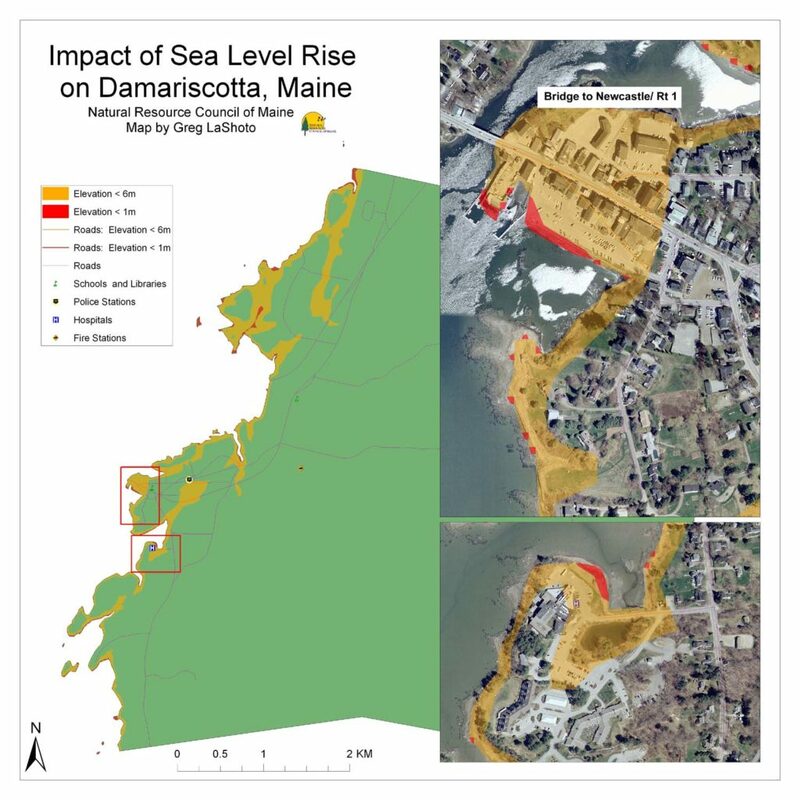 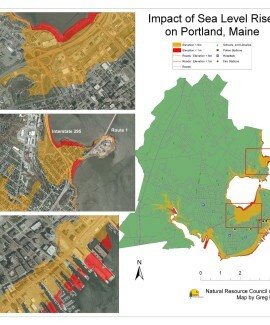 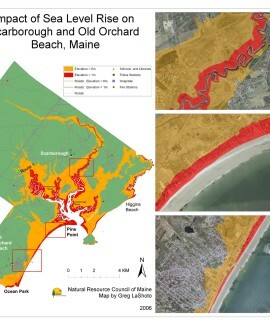 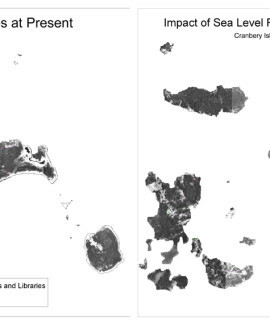 To demonstrate the potential damage that could be done, we analyzed oceanside communities up and down Maine’s coast and created maps using GIS technology. 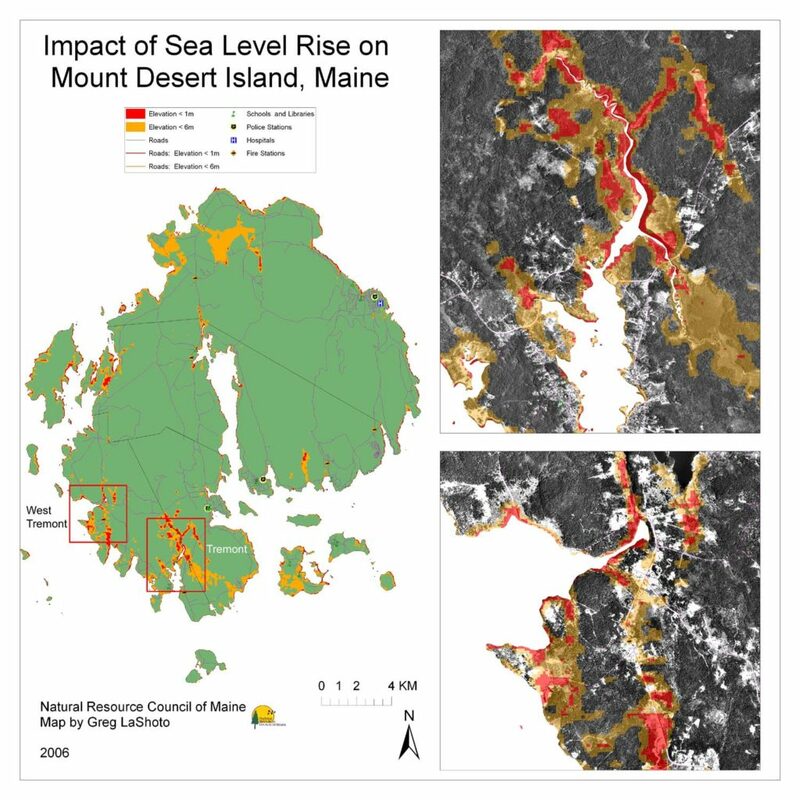 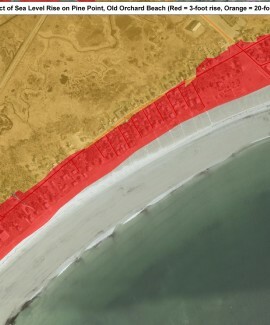 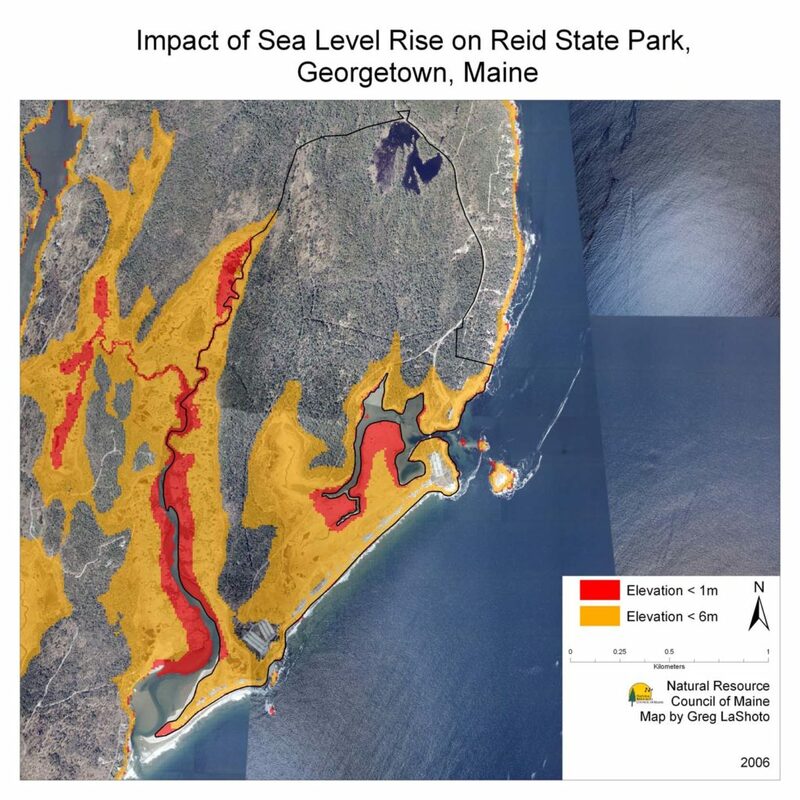 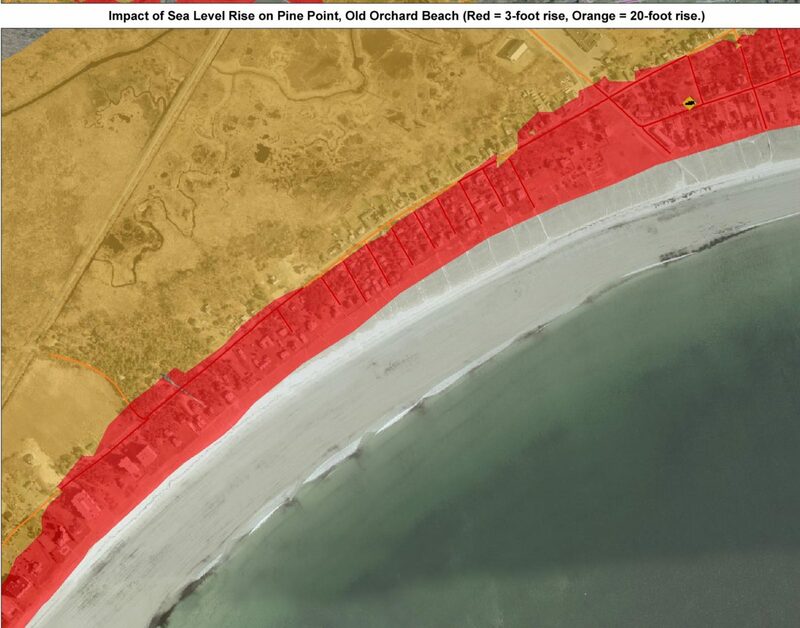 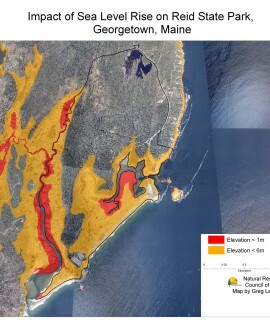 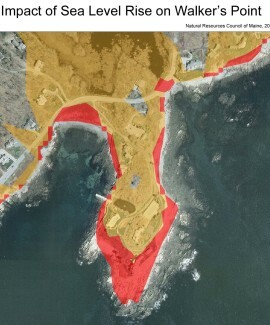 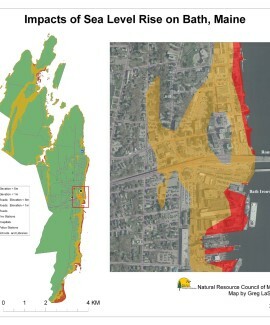 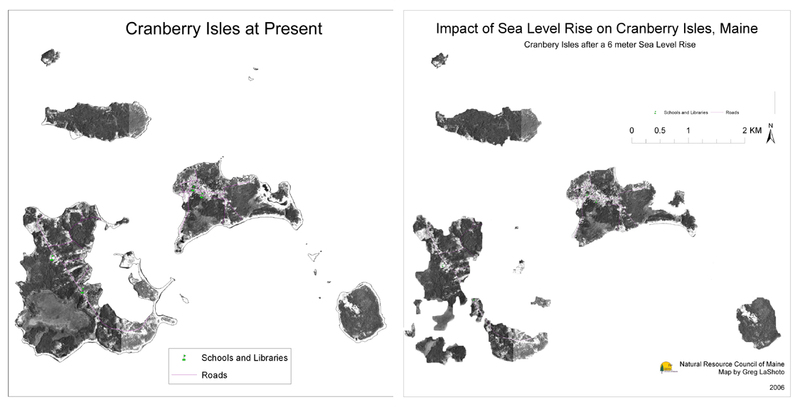 We invite you to view the maps to the impacts that a one-meter (shown in red) and a six-meter sea-level rise (shown in yellow) would have on these areas.